Did you know that if you’ve been denied entry into Canada under the Immigration and Refugees Protection Act (IRPA) you could apply for a Temporary Resident Permit? Unfortunately many people who intend to come to Canada, whether it is on the basis of work related or studying purposes, still have the possibility to be denied entry even upon the border. There are many issues that can arise being the cause of this problem when it comes to getting your visit denied. These issues can range from one’s health complications or a possible criminal offence that had taken place in the past, therefore presenting itself as a potential stain on your record. A temporary resident permit allows access for foreign visitors who have been deemed inadmissible to come to Canada. Whether your circumstances of requesting to enter Canada ranges between work purposes or to study in the country, a temporary resident permit might be the solution for you! After successfully getting your Temporary Resident Permit application approved in Canada this ensures the government’s permission for you to stay within the country, during the time requested and specifically designated in your permit. The permit also outlines your expiration date in which defines the time you must leave the country. You can always attempt to re-apply in order to continue your stay in Canada, before your valid Temporary Resident Permit actually expires. In order to truly be a candidate for a temporary resident permit, be it to apply in the first place or to simply extend your stay, you must exemplify that you as an individual have strong ties to your country of citizenship and will not objectify against leaving Canada and returning at a moments notice. Failing to prove any of these aforementioned necessities can allow for an immigration officer to revoke your permit at any given moment. By being given your Temporary Resident Permit you can come to Canada and complete the tasks you have requested entry for. These requests could possibly be a family or friend’s wedding or funeral in which your attendance was requested, to visit a sick relative, study at a Canadian educational institution, or for tourism within the great North. Foreign visitors, who wish to come to Canada on the grounds of their trip being one that is solely based on a temporary activity, are the perfect candidates who should apply for a Canadian temporary resident permit. 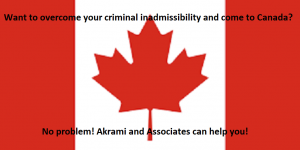 This also applies to anyone who has been considered inadmissible and has been previously denied entry into Canada, but find that they have a strong desire to want to enter the country due to justified reasons. In order to prove justification in your desire of entry, an applicant must prove that their visit will not create or be considered a factor of creating harm or presenting a liability within Canadian society. To clarify this, the applicant must be able to display that their visit will be of an economic benefit to Canada. Successfully getting your temporary resident permit application approved depends as it is based on a careful selection process, in which each application is examined case by case. The application process for a temporary resident permit can range from about 8 – 12 months, and applicants must be able to provide a genuine desire to gain entry into Canada but at the same time displaying intention of returning to their home country. In order to avoid any potential mishaps from occurring, applicants must take into consideration the terms of their temporary resident permit. Despite obtaining a valid temporary resident permit, this does not ensure your access in to Canada. You can be refused and denied entry right at the border by any Canadian Boarder Service Agent. Please also take into account that a temporary resident permit is as it states in the title, simply a temporary option. If one wishes to continuously travel to Canada or has plans to return to Canada in the future, as long as you are deemed ineligible under any circumstance, you are obligated to first get an approved temporary resident permit or explore other permanent options to help you pick a solution that suits your needs. Also please keep in mind that a temporary resident permit is not the same as a temporary resident visa. The ineligibilities given to applicants for each of these travelling options in Canada is different and allows foreign nationals to explore and access different opportunities. A temporary resident permit is not a valid travel document, as all applicants must also obtain their passport and any other documentation necessary when requested. If you are considering applying for a temporary resident permit due to the fact that you have been denied entry into Canada ranging from many possible implications that could have occurred, it is of utmost importance that the correct process is obtained and followed by applicants when requesting entry on to Canadian soil. If this process is not done correctly, applicants can expect to face denial of entry despite being so close to entering Canada. Although this is an unfortunate circumstance, Canadian border officers reserve all right to refuse entry. In order to prevent this circumstance from occurring, it is highly advised that applicants considering acquiring a temporary resident permit seek out professional and experienced help before attempting entry to Canada. Here at Akrami and Associates we obtain all of the fundamental steps deemed necessary to help you get started in the right process, by providing you with the information you need to ensure a quality application being submitted on your behalf. If you believe you are eligible for a temporary resident permit and want to get started in the right direction, please feel free to contact us at Akrami and Associates at our office at 416-477-2545 for more information. or if you would like to book a consultation with an immigration professional for more advice, With Akrami & Associates, there is always a way!